Protect your T410 series grill with this high quality grill cover. This grill cover is made from heavy duty PVC polyester. The material is UV protected to prevent colour fading and features a 3-inch ventilation strip to reduce moisture buildup under the cover. This cover features a large embroidered Napoleon logo to show your Napoleon pride and two metal hanging loops for storage when the grill is in use. The Hickory Kamado Ceramic Grill covers from Classic Accessories are made from durable Weather10 material featuring a rugged fabric outer layer with a laminated waterproof and wipe-clean inside coating. Weather Leather trim looks authentic but wont rot. Large covers ceramic grills up to: 27 Dia with side tables 45 H.
Protect your leg model Kettle Grills with this Premium Grill Cover. The durable, water-resistant fabric of this cover won't crack, and the improved UV inhibitors provide superior fade resistance. For year round, full weather protection for your grill, the Premium Grill Cover can't be beat. Adjustable straps with buckles keep the cover in place, while the vent allows for airflow preventing mildew, as well as protection on gusty days. Easily store your cover out of the way with the convenient hanging loops. Triumph 410 BBQ Cover Protect your T410 series grill with this high quality grill cover. This grill cover is made from heavy duty PVC polyester. The material is UV protected to prevent colour fading and features a 3-inch ventilation strip to reduce moisture buildup under the cover. This cover features a large embroidered Napoleon logo to show your Napoleon pride and two metal hanging loops for storage when the grill is in use. Triumph 410 BBQ Cover is rated 5.0 out of 5 by 2. 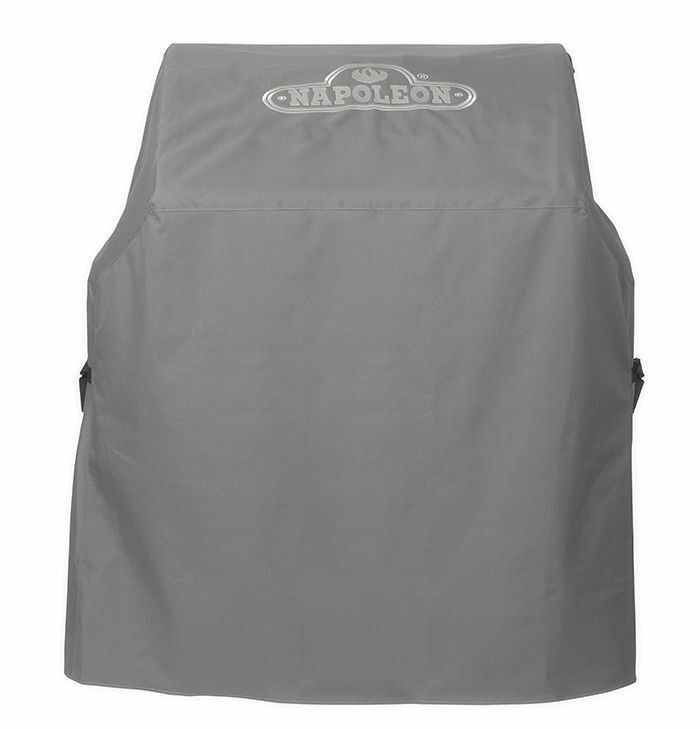 Rated 5 out of 5 by Alibear from Napoleon grill cover This is a great grill cover. Good quality, heavy duty fabric. Fits perfectly and is one of the most attractive covers I have seen.